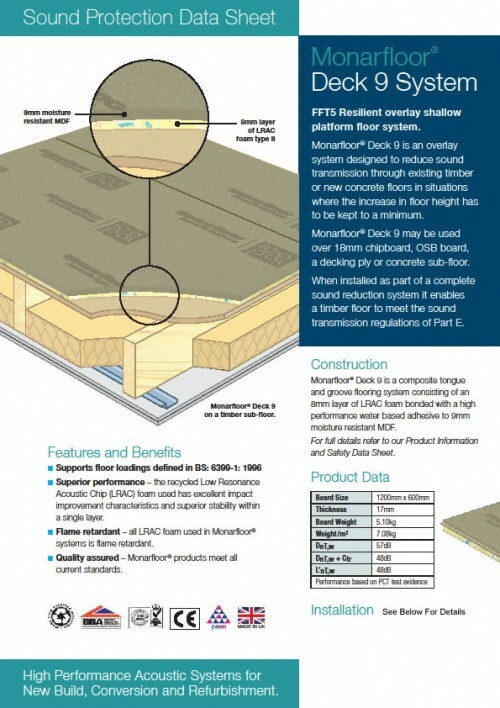 Monarfloor Deck 9 is a composite tongue and groove floating floor system consisting of an 8mm layer of LRAC foam bonded with a high performance water based adhesive to 9mm moisture resistant MDF. 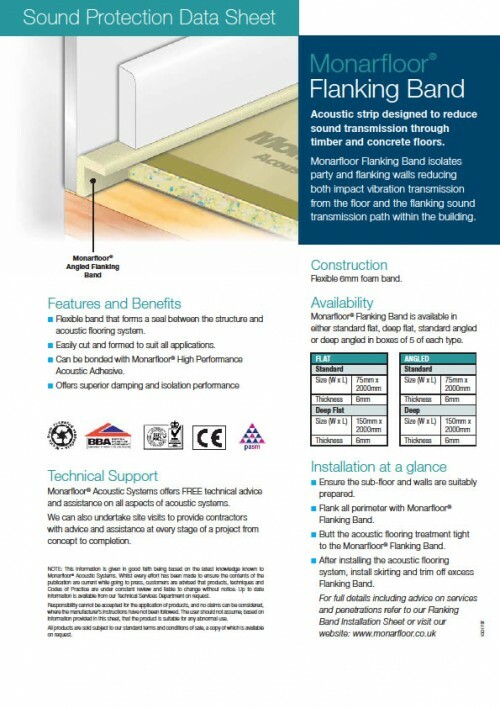 An acoustic deck overlay system for timber or concrete floors designed for projects where the increase in floor level has to be kept to a minimum, Deck 9 increases the floor level by only 17mm. The simplest way of improving the airborne and impact sound performance of an existing floor is to overlay the floor with an isolating layer and new wearing surface. Due to its lower mass, deck 9 will not perform as well as Deck 18 when comparing airborne reduction figures. Monarfloor systems can be used to upgrade existing floors with particular emphasis on improving the impact sound qualities. Deck 9 is the preferred choice where the floor height is critical. 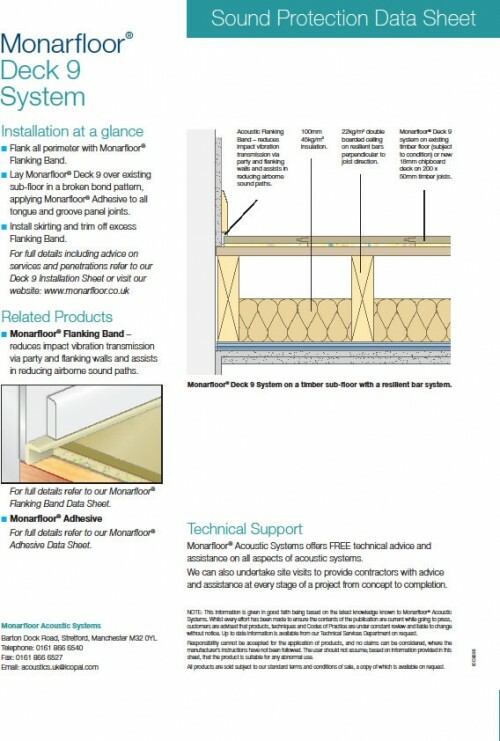 Monarfloor systems are regularly used in regulation E work. 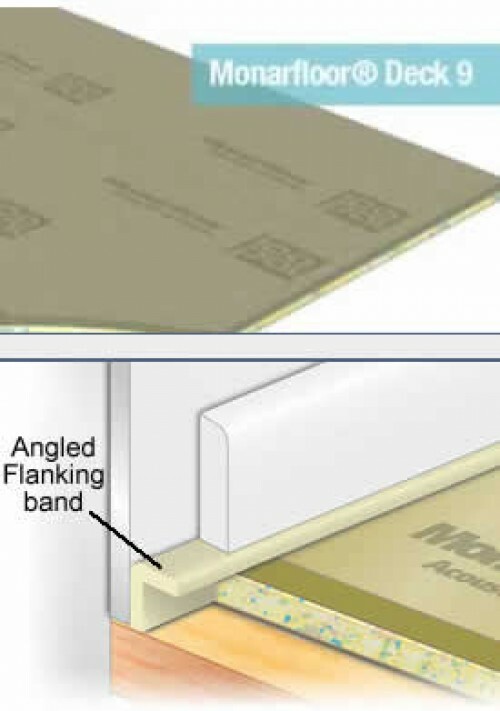 When used in conjunction with mineral wool and resilient bars in the ceiling below, Monarfloor systems will exceed the levels required for regulation E.